The INGO Forum mobilized heads and representatives of civil society networks and coalitions including the Nigeria Network of NGOs (NNNGO), Network of Civil Society Organizations in Borno (NECSOB), Caritas Foundation, Civil Society Coalition for Poverty Eradication (CISCOPE), Nigeria Farmers Association and the Development Centre (DRPH). These CSO Networks widely consulted with their constituents who then came up with a CSO position statement here and selected representatives (Ambassador of Peace Ahmed Shehu and Mrs. Fatima S. Imam of NECSOB) to make a presentation at Oslo Humanitarian Conference on 23-24th February 2017. 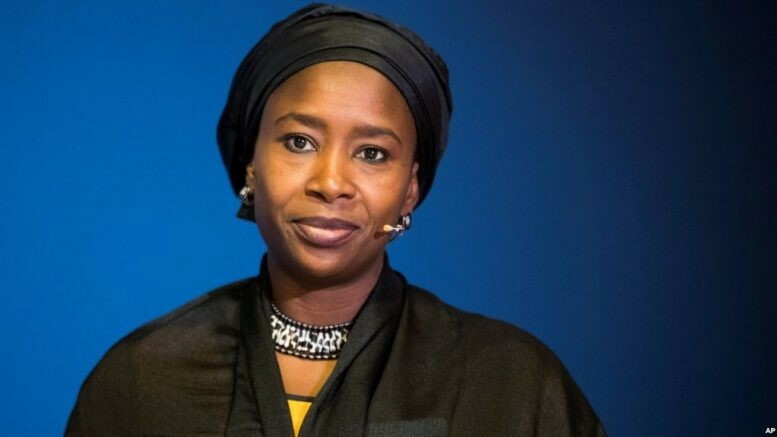 Fatima Shehu Imam, representing the International Federation of Women Lawyers (FIDA) in Borno State, and the Network of Civil Society Organizations in Borno State (NECSOB), was invited to provide a civil society perspective and recommendations when the Security Council met to discuss the situation in the Lake Chad Basin. The NGO Working Group on Women, Peace and Security facilitated her statement but she did not speak on behalf of the NGOWG.